Bird teether and toy for babies. 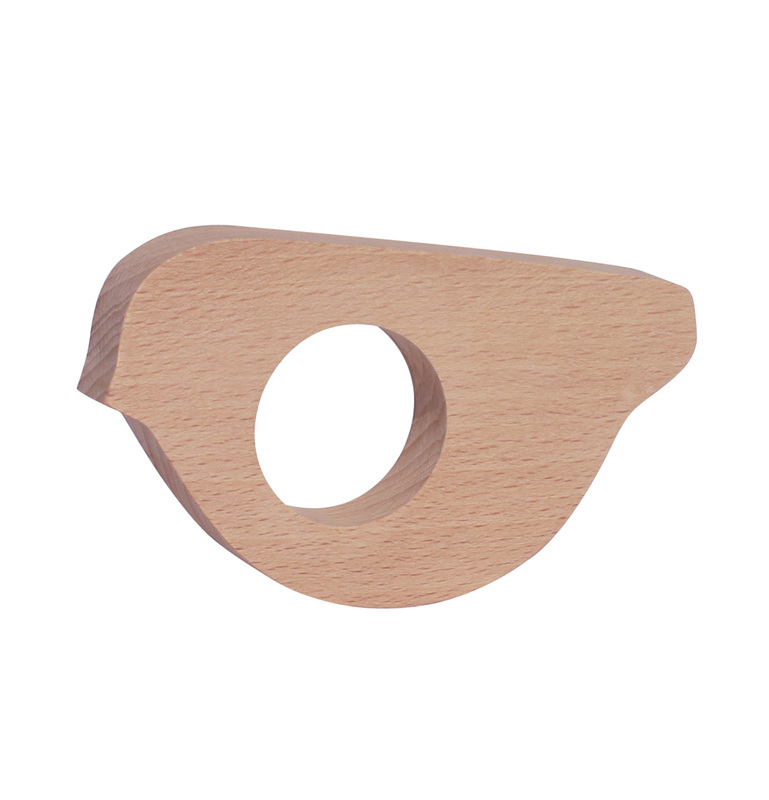 Easy to handle for small hands, thanks to the central hole. Solid and natural beech wood.